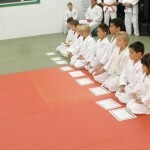 Strenuous exercise is the key to physical fitness. 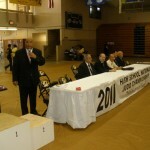 KSD & Zenyu Senior competitors all placed at the National H.S. 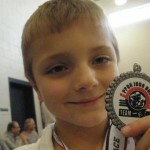 Tourney in May. 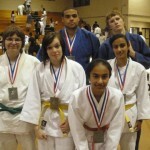 Zenyu Judo Dojo supported the KSD Judo squads visit to Honolulu, HI for the 2011 Grassroots National H.S. 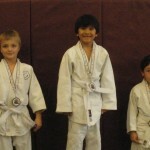 Championships. 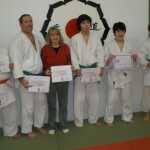 Zenyu Judo Dojo Jr awards receipients. 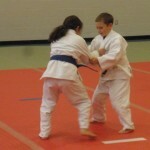 Holden postitions himself for an attack at the Ippon Dojo Future Stars Competition. 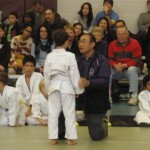 Coach Fujimoto coaches a Zenyu Judo Jr. fighter during competition at Ippon Dojo. 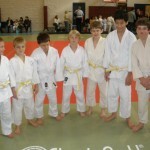 2011 saw the institution of ‘Smurf’ Thursdays. 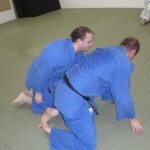 These ‘smurf’ judoists demonstrate the ‘Zenyu Smurf Crawl’. 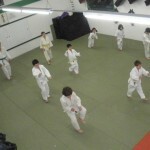 Zenyu Jr. fighters going through their single practice regimen. 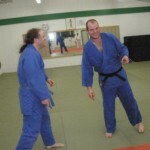 Zenyu Smurfs…laughing and joking in the so-called ‘jokey-waza’stance…this only happens on Smurf Thursdays. 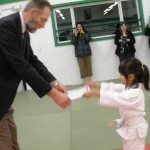 Athena Davis receives her promotion certificate after vieing in Zenyu Nite competitions. 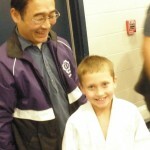 Sensei Craig Fujimoto and Holden after his first tournament win. 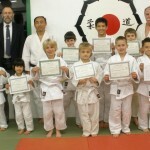 Zenyu Judo Dojo Jr. class awards. 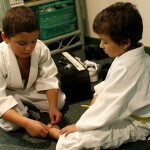 One Zenyu student helping another with an injury.